An exciting opportunity for libraries around the nation will come about at the beginning of the New Year and your library could be one of them! 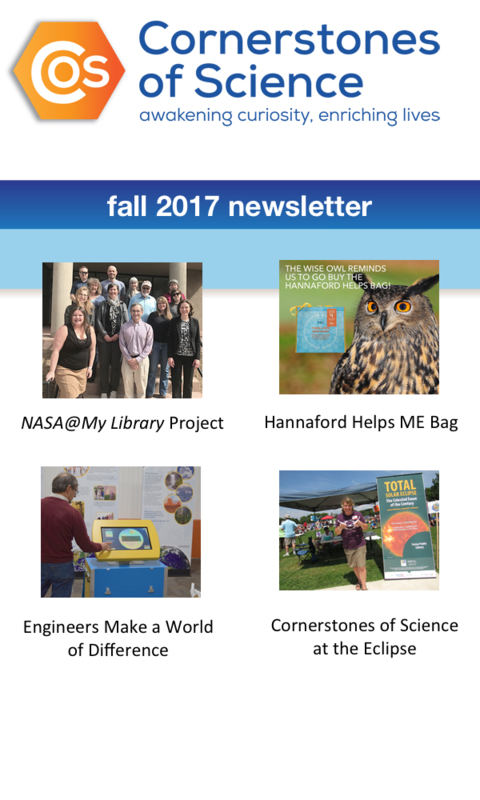 American Library Association (ALA) will release an application in January/February 2017 for libraries to apply to be one of 100 libraries chosen to be part of the NASA@ My Library Project, which is four-year project full of exciting events, opportunities, resources, and professional development for library staff around space and earth science and specifically includes NASA related activities and professionals. Keep a look out for the application or contact ALA about the NASA@ My Library application and see if your library qualifies. Each library chosen will receive an assortment of space and earth science kits and support, and will focus in on helping the underserved and underrepresented parts of their communities. NASA@ My Library is a five-year cooperative agreement between NASA Science Mission Directorate (SMD) Sci. Ed., Space Science Institute’s National Center for Interactive Learning (NCIL), Cornerstones of Science, ALA, Education Development Center (EDC), and the Pacific Science Center’s Portal to the Public Network (PoPNet).